Stay in the loop by joining our mailing list. Meghan Chalmers and Franny McCabe-Bennett are Two Juliets. XOXO: The Relationship Show, a comedy cabaret, has toured Winnipeg Fringe, Toronto Fringe, Hamilton Fringe, won the 2014 People's Choice Award at the SpringWorks: Indie Arts & Theatre Festival in Stratford, Ontario and had reviewers comparing the Juliets to Tina Fey & Amy Poehler, Lena Dunham's GIRLS and comedy icons Abbott & Costello. "Help Me Maybe", a parody song of "Call Me Maybe" written for the popular Jake and Amir podcast If I Were You, was featured on an episode that has been listened to over 85,000 times. At the official Two Juliets launch party in September 2013, Meghan and Franny wore matching outfits and everyone loved it. Primarily using vocal masque and improvisation as creation methods, Franny and Meghan create original pieces featuring scenes, monologues, songs and movement to explore modern, relatable issues from a funny, feminist point of view. Two Juliets blurs the boundaries between "theatre" and "comedy", creating scripted shows that leave room for improvisation and interaction with the audience. XOXO examines dating and relationships, premiered in a 25-minute version at the Hamilton Fringe Festival in 2013 and remounted in Toronto. XOXO: The Relationship Show is an expanded 60-minute version, premiered at SpringWorks in Stratford-Perth County, May 2014, winning the People's Choice Award. XOXO and XOXO: The Relationship Show continue to tour and present in festivals across Ontario. Projects in development include The Body Show, inspired by body image, food and "healthy living", and Spooky Twins, because BOO! Sorry, we just can't help ourselves. 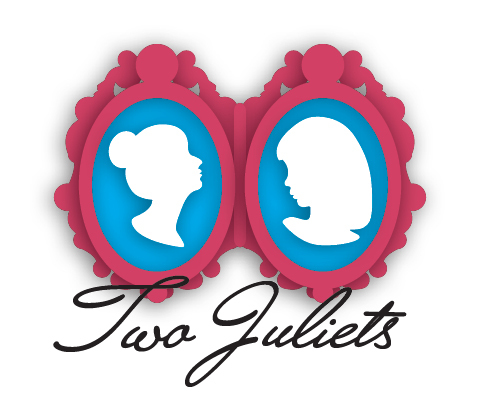 Follow @TwoJulietsTO for real-time updates on #XOXOshow, #TheBodyShow and #SpookyTwins!